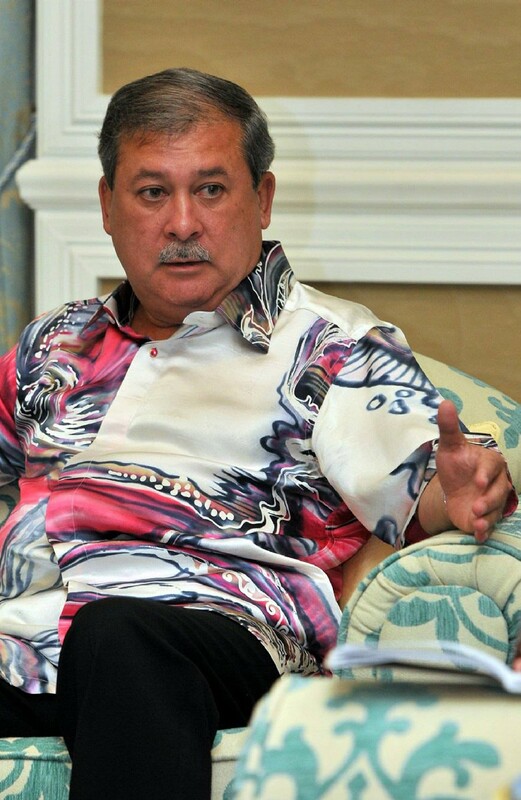 MERSING - The Special Forces Regiment members should not be involved in any political parties to uphold the good name of the regiment, said Johor Ruler Sultan Ibrahim Ibni Almarhum Sultan Iskandar. He also urged them not to blindly accept nformation spread in cyberspace. 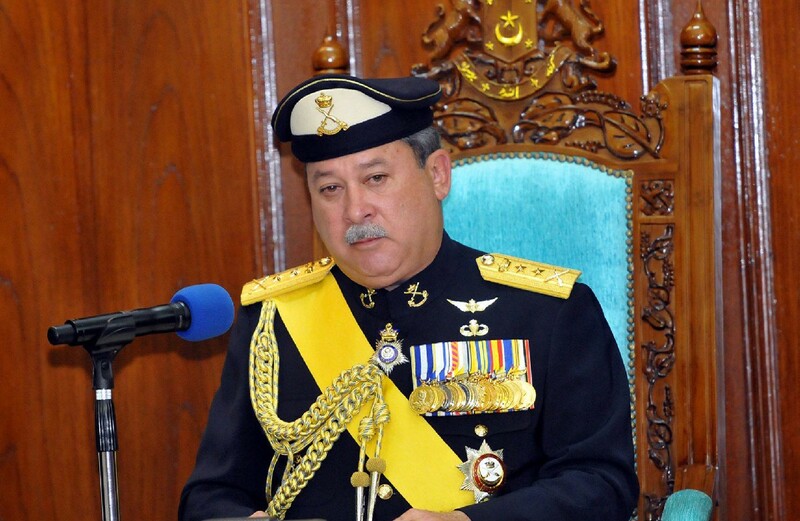 Sultan Ibrahim added that military leaders and honorary officers should not wear military decorations such as badges and wings all the time, as they were meant to be only worn during special occasions. "If one really wants to wear the wing badge all the time, I suggest they make the jump first. 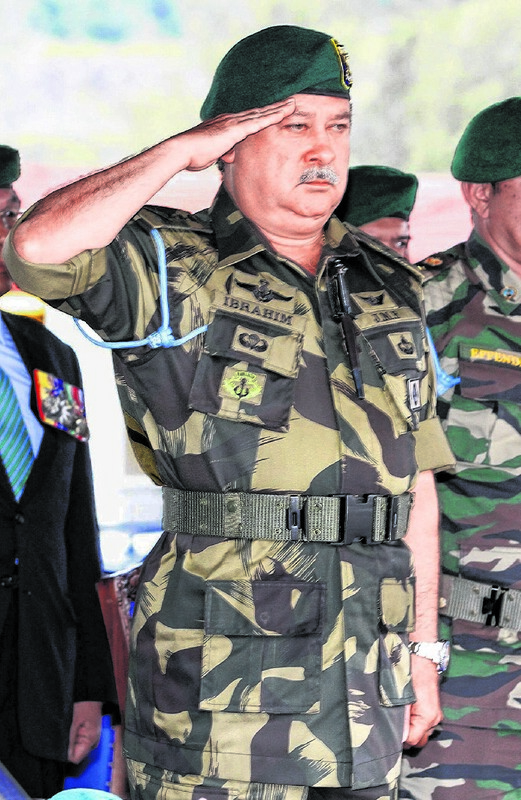 "At least the wing pinned on the chest really has value and is not just a decoration to complete the uniform," he said at the 50th anniversary parade of the Special Forces Regiment at the Iskandar Camp here yesterday. 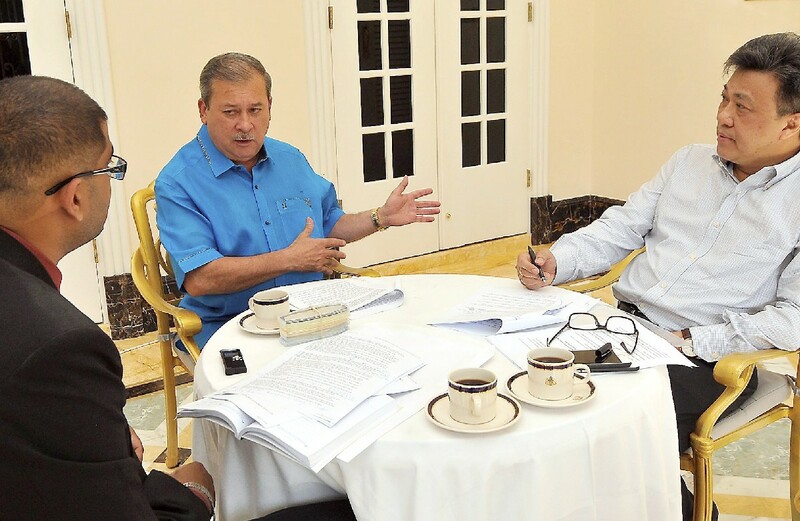 Sultan Ibrahim hoped the De­­fence Ministry would give more attention to the needs of the regiment, considering it was a frontline force in combating incidents affecting the country's peace and sove­reignty. He stressed that his presence as Colonel Commandant of the regiment was not just as a figurehead but to ensure the regiment's conti­nued progress. 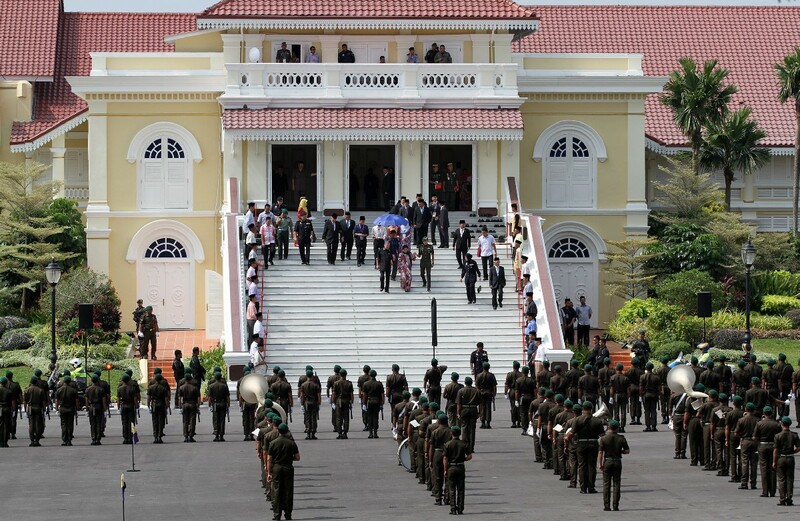 He was also disappointed that several programmes to develop the regiment with new facilities had yet to be implemented. 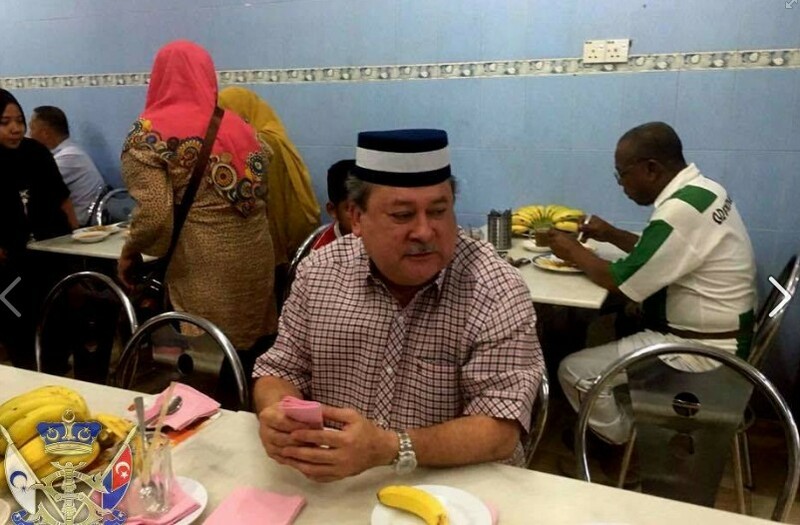 On another issue, Sultan Ibrahim called on the Government to quickly resolve the issues plaguing the nation, including the sliding ringgit. He said that as a Ruler, he was responsible for making sure the rakyat continued to have a progressive and prosperous nation. 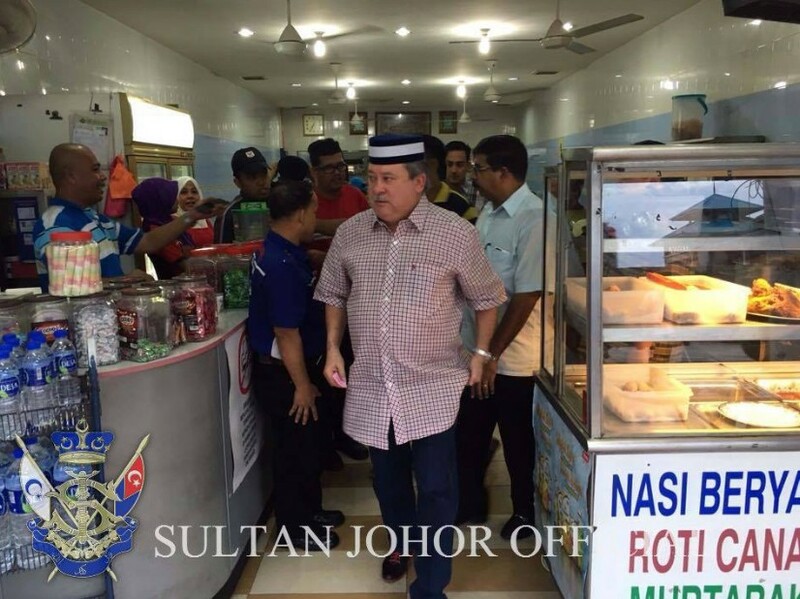 Patrons of a coffee shop in Muar, Johor were pleasantly surprised when Sultan Ibrahim Sultan Iskandar made an appearance there on Friday (Dec 18) morning. 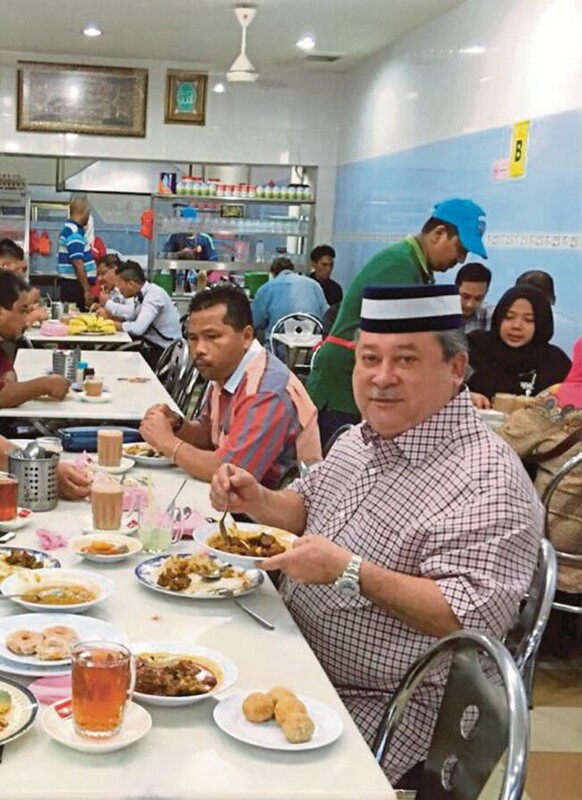 According to New Straits Times, he greeted diners and invited them to breakfast. 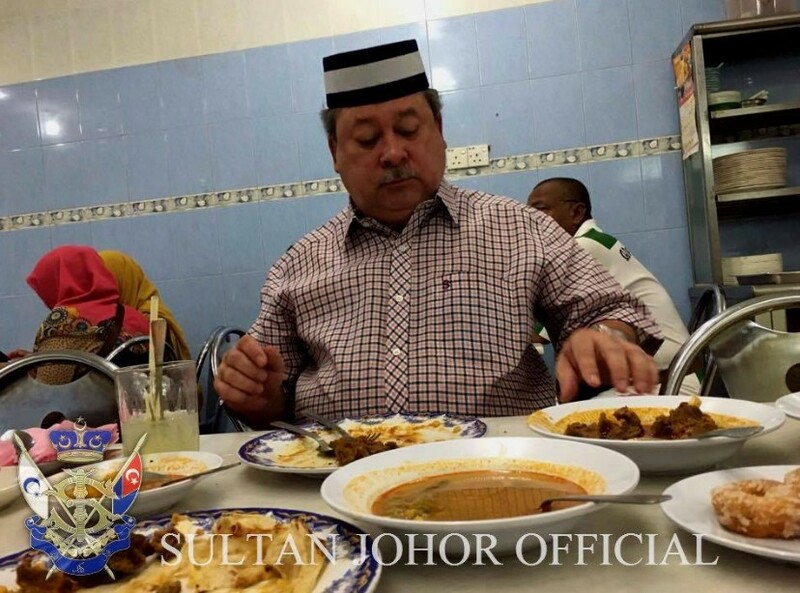 The Sultan had ordered 'roti canai garing', samosa with mutton curry and a 'teh tarik' for his meal, and spent about 40 minutes conversing and posing for photographs with his fellow diners. He had visited another eatery the day before and dispensed with propriety by dining with his subjects at the same table. 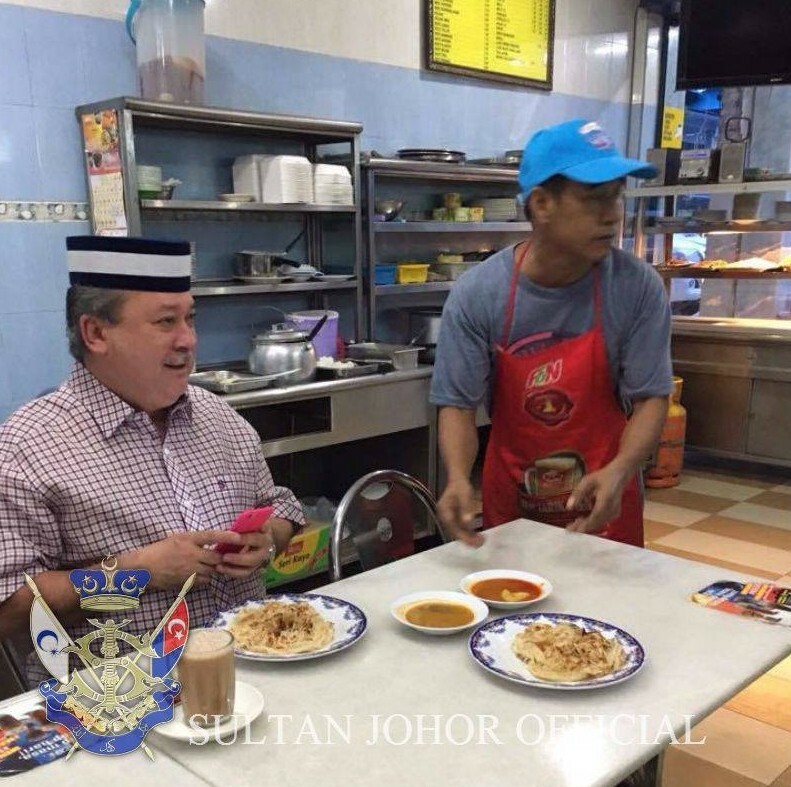 The royal also gave a treat to the customers at the restaurant and paid the owner to serve free food to the other patrons for the rest of the day, the New Straits Times reported. 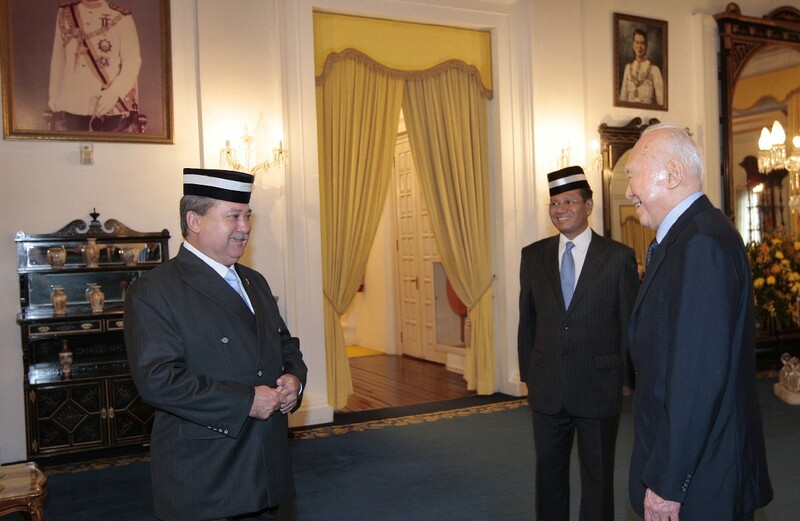 Mr Lee was there to express his condolences over the death of the Sultan Ibrahim Ismail's father, the late Sultan Iskandar Ismail. 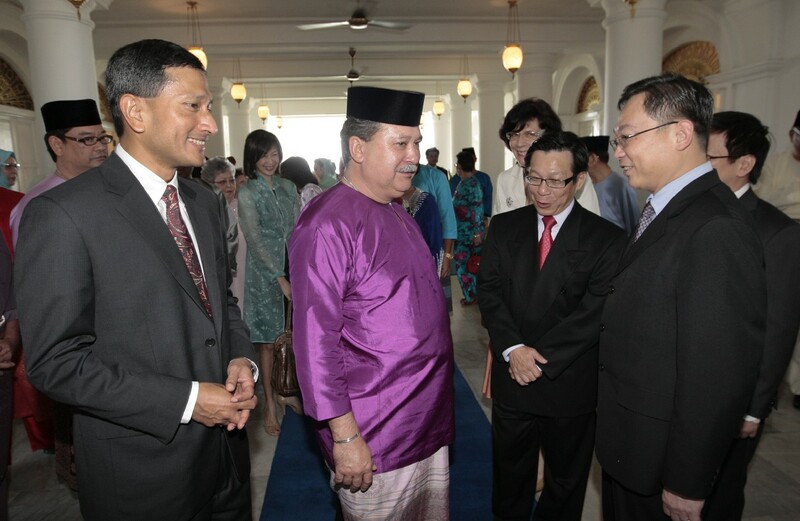 The Sultan of Johor, Sultan Ibrahim Ismail (centre, in purple), greeting (from left) Singapore's Minister Vivian Balakrishnan, Minister Mah Bow Tan and Minister Gan Kim Yong on 11 September 2010. 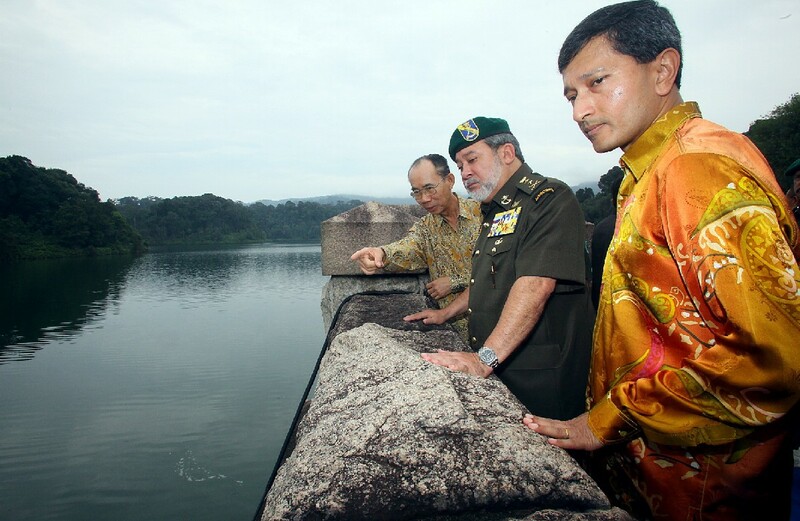 (From right) Minister for the Environment and Water Resources Dr Vivian Balakrishnan, Sultan of Johor Ibrahim Iskandar and PUB chairman Tan Gee Paw at the Gunong Pulai Water Treatment Facility in Johor, Malaysia. 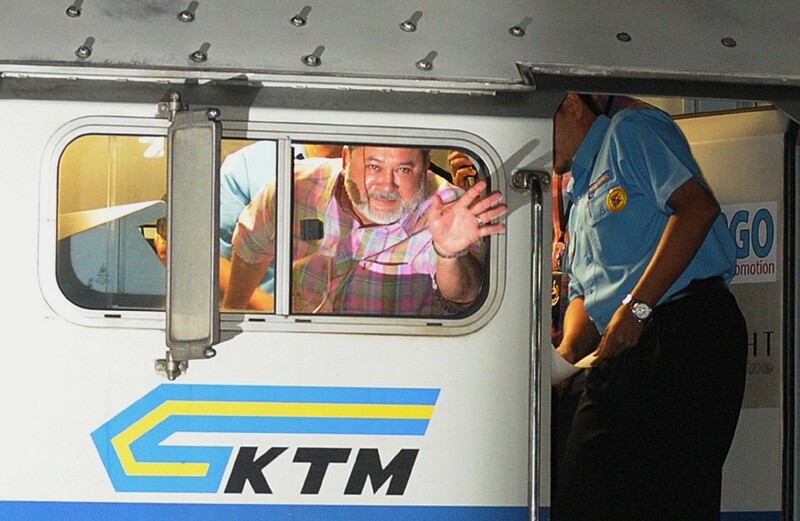 Sultan Ibrahim Iskandar of Johor waving to the crowds at Tanjong Pagar Railway station on 30 June 2011. He wanted to drive the very last train out because his great-grandfather had paved the way for the very first one to rumble in when the Causeway was opened, way back in 1923. 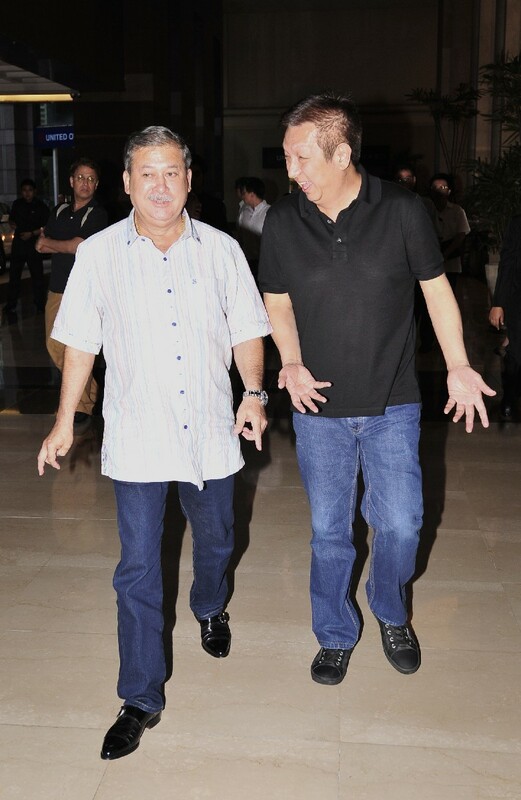 Billionaire Peter Lim (right) with Sultan Ibrahim Ibni Almarhum Sultan Iskandar, the Sultan of Johor. 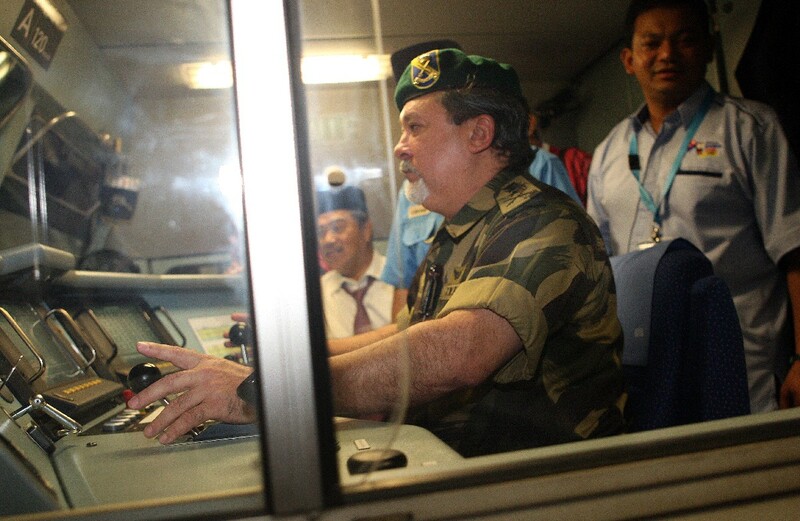 Johor Sultan Ibrahim Ismail personally steered a train into a Johor village on 26 Jun 2010, to the delight of thousands of villagers, at the start of his annual tour of the state’s heartland districts. 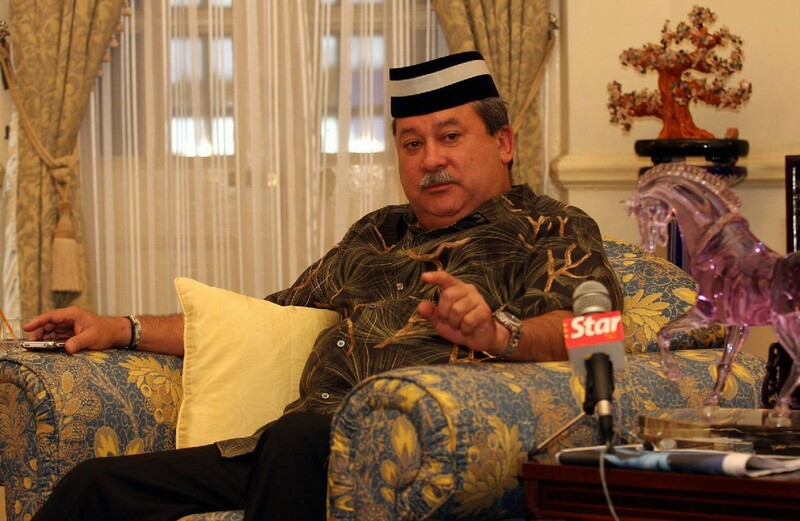 His Royal Highness Sultan Ibrahim Iskandar of Johor. 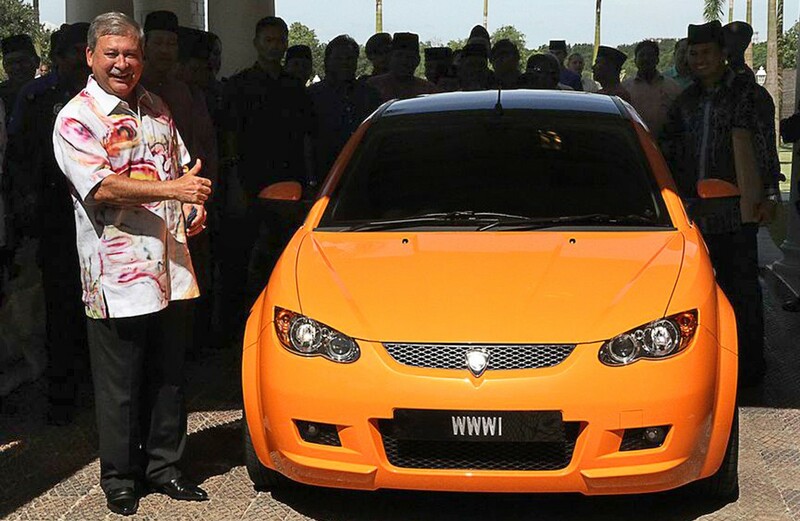 Some 30,000 people turned up at Istana Pasir Pelangi in Johor Baru to pledge their support and loyalty to Johor’s Sultan Ibrahim Sultan Iskandar following criticism of his successful $209,000 bid for vehicle registration number WWW1. 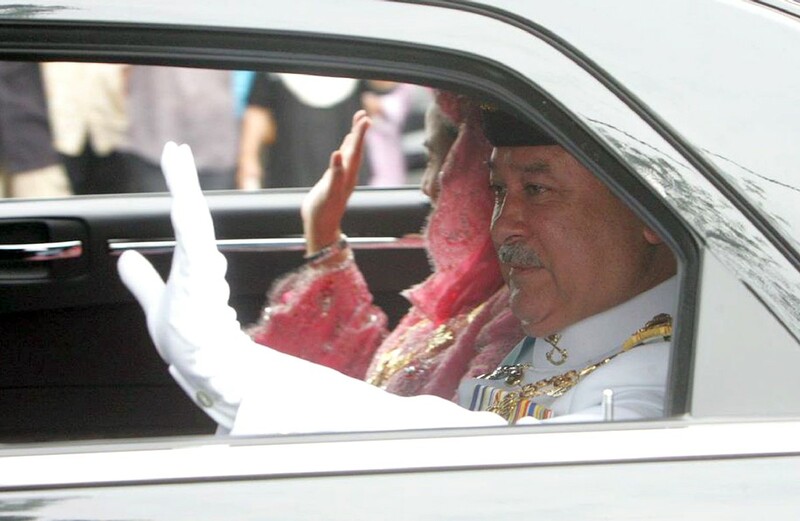 Johor’s Sultan Ibrahim Ibni Almarhum Sultan Iskandar waving from a car. 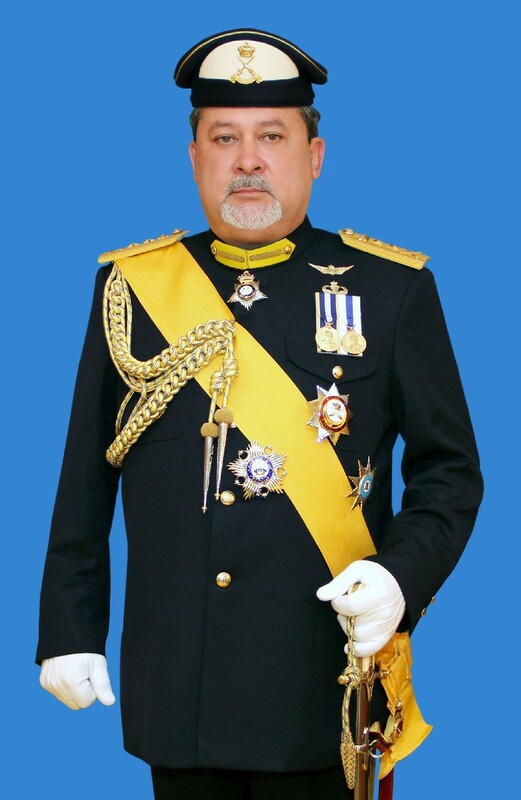 Sultan Ibrahim Sultan Iskandar, ruler of the Johor state in Malaysia. 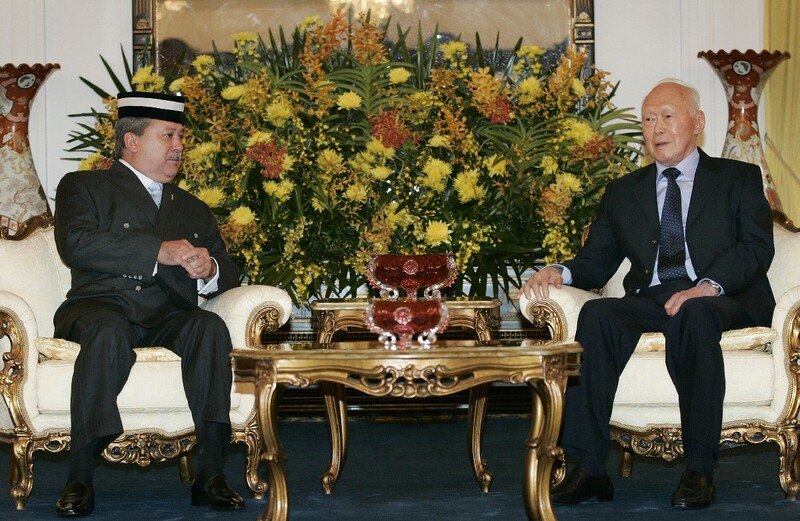 Johor Sultan Ibrahim Ismail Sultan Iskandar giving his decree during the opening of the state assembly at Bangunan Sultan Ibrahim, Bukit Timbalan in Johor Baru on August 15, 2013. 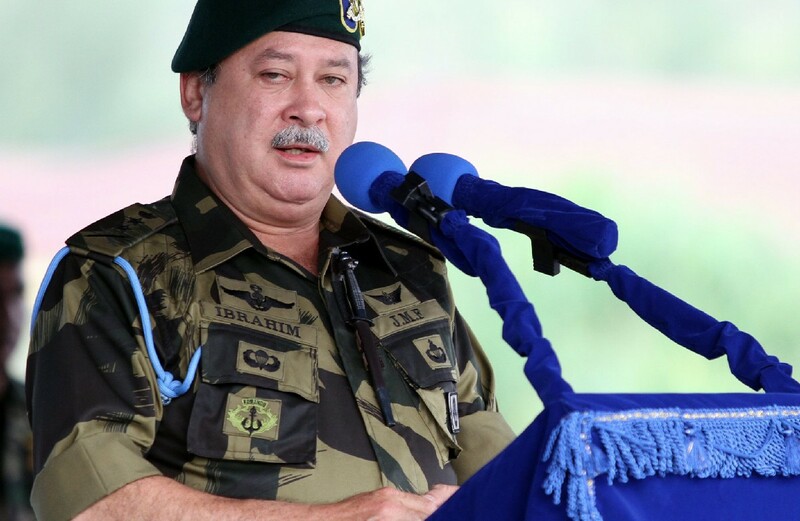 Johor Ruler Sultan Ibrahim Sultan Iskandar delivering his speech to special forces personnel during the special forces anniversary day celebrations at Kem Iskandar in Mersing on Sept 28 2013. 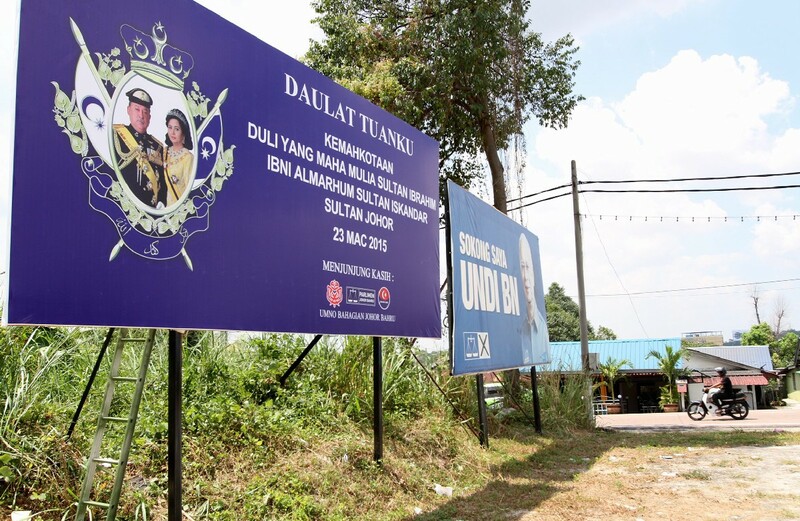 One of the many billboards put up along major roads in Johor Baru with "Daulat Tuanku" in conjunction with the Johor Ruler's coronation on 23 March 2015. 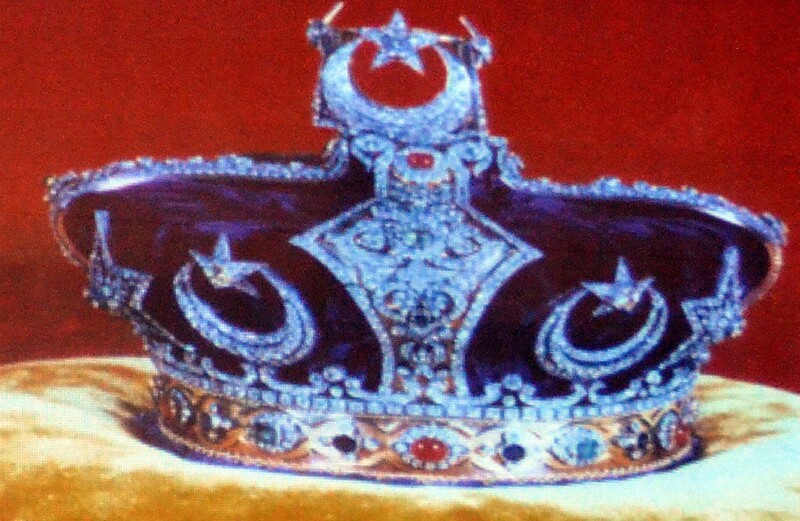 The 1.6kg royal crown made by London jeweller J.W. 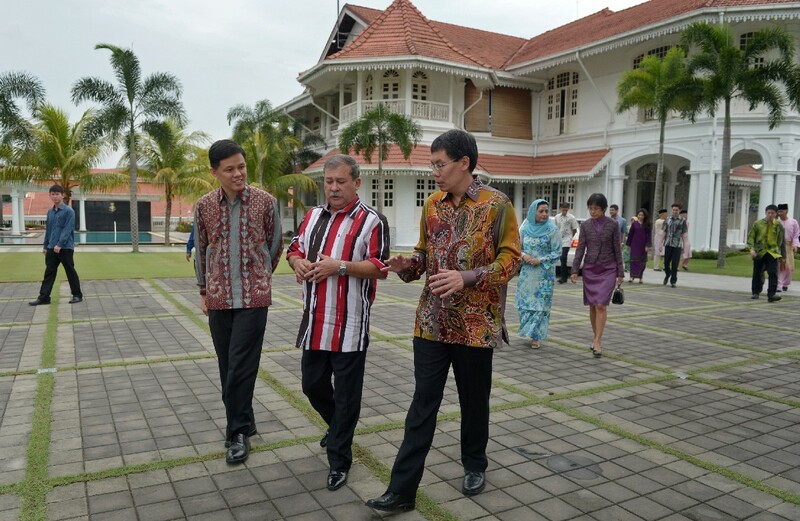 Benson, which will be used at Sultan Ibrahim Ismail’s coronation on 23 March 2015. 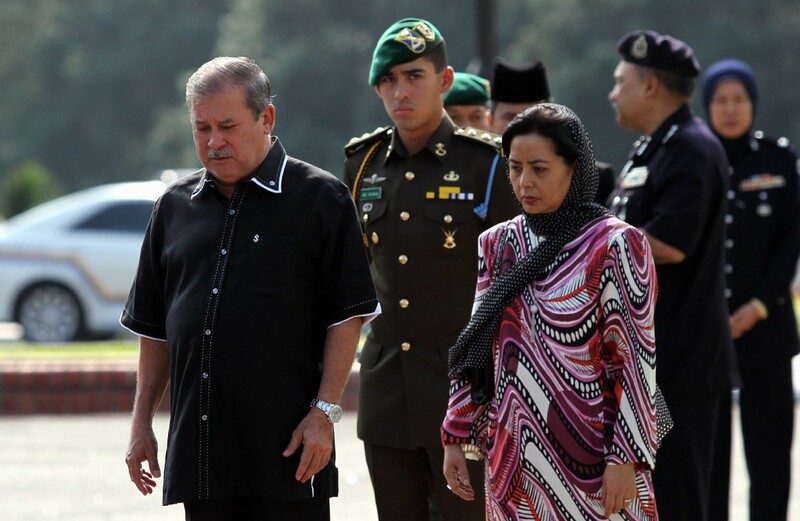 Johor Ruler Sultan Ibrahim Ibni Almarhum Sultan Iskandar (left) and his royal consort Raja Zarith Sofiah binti Almarhum Sultan Idris Shah (right) and their son Tunku Panglima Johor Tunku Abdul Rahman Sultan Ibrahim (middle).